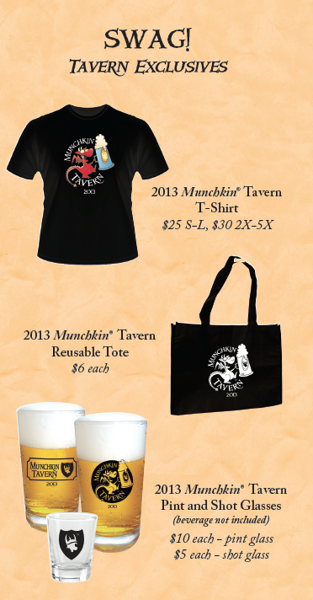 We have some cool Munchkin swag for you at our Munchkin Tavern this year. 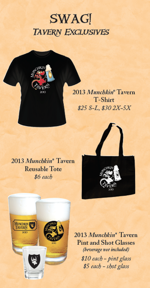 In addition to what's in the picture, we'll also be selling Munchkin Tricky Treats at the tavern -- it won't be available at our booth! -- for the usual price of $4.95. Supplies are limited, so come quick! Don't let anyone else get your loot!